I think your point reinforces that I must be the only one that does not like NG. What did you try that you didn't like? Everyone raves about Spotted Cow and it's where 75% of their revenue comes from... but I don't really care for it. Don't know what it is. I'll drink the Moon Man, the Staghorn Festbier and Two Women. There are days when Two Women really hits the spot... very drinkable. Cheers again to Matt... thanks again for that great helles too. Delicious. and a couple others I cannot remember. I mean they were not bad I just did not get the hype. ETA: This was 3+ years back. Maybe now I would find them different since I have noticed a shift in my tastes. But not that Belgian red, that was cough medicine tasting . Edited by HVB, 27 February 2019 - 09:31 AM. Well, it's always possible that the hype doesn't match the product. I feel like there is a good percentage of people in the midwest who like good, clean, drinkable beer and New Glarus makes a lot of that between Two Women, Spotted Cow, Totally Naked (a gold lager) and some of their other offerings. Also, when a place decides to only sell their product in one state, now you have the 'forbidden fruit' idea like Coors used to be in the old days. New Glarus probably won't blow anyone's mind but it's good, solid beer. New Glarus probably won't blow anyone's mind but it's good, solid beer. The humble cream ale- Beechum's recipe. lagered for a month before serving; no finings, just time and cold temperature. it'll taste better if it was sunny and 70 degrees. Edited by LeftyMPfrmDE, 08 March 2019 - 11:41 AM. I posted a pic of this beer back on page 96 (post 1902). The recipe is there so no need to repeat it. It's an unusual combination of ingredients. It has aged a bit and it's absolutely delicious. I added Northern Brewer with 5 minutes left in the boil and then added Loral and then turned off the heat, put the lid on and let those hops just steep for about 20 minutes. I used to do this more often and I was always impressed by the character I got with it. I get a nice, long & lingering hop finish in the beer when I do this and it's different than any other kind of hop addition (to me). Also, I know that Drez mentioned that Loral was "meh" to him but I seem to like it. I read that it was sort of "Super Noble" and that seems right. 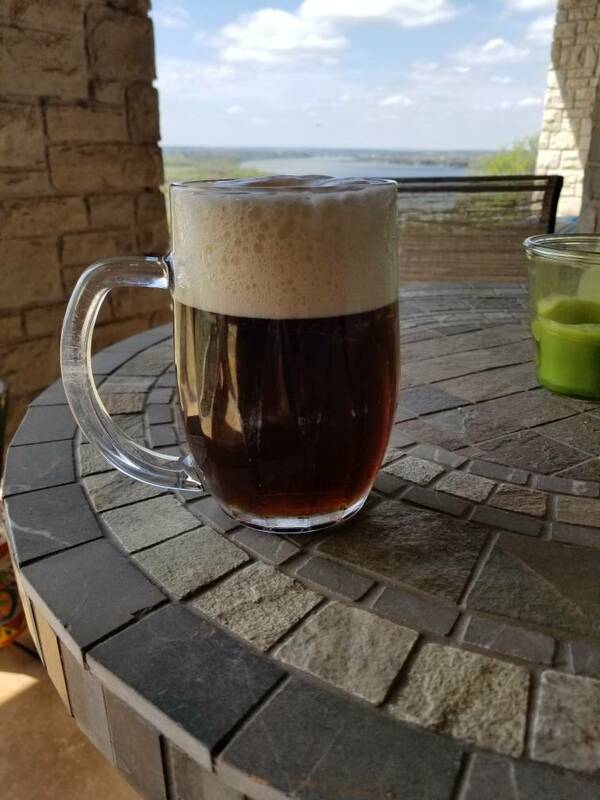 I know Doobah used some in a Czech-style dunkel and said it came out awesome. I could see me getting some miles out of these hops as late additions in all kinds of things. The fact that the beer is balanced and then has the character of the 2112 is a benefit too. Cheers. Nice looking beer. Makes me want to brew an all NB lager... Love that steam beer. Northern Brewer is a hop I keep coming back to. It's German but I feel like you could do a lot of things with it where the style didn't have to be German. The character is excellent. Clean, herbal, tangy. It worked very nicely with the Loral as you might expect since it's supposed to be noble-like. Cheers Drez. Ps. Found a pound of Loral on Yakima Valley for $10 and it's on the way. I could see it being used in a "clean" pale ale, a blonde ale, an American Wheat, any number of lagers, etc. I know I have posted this beer before but enjoying another right now. 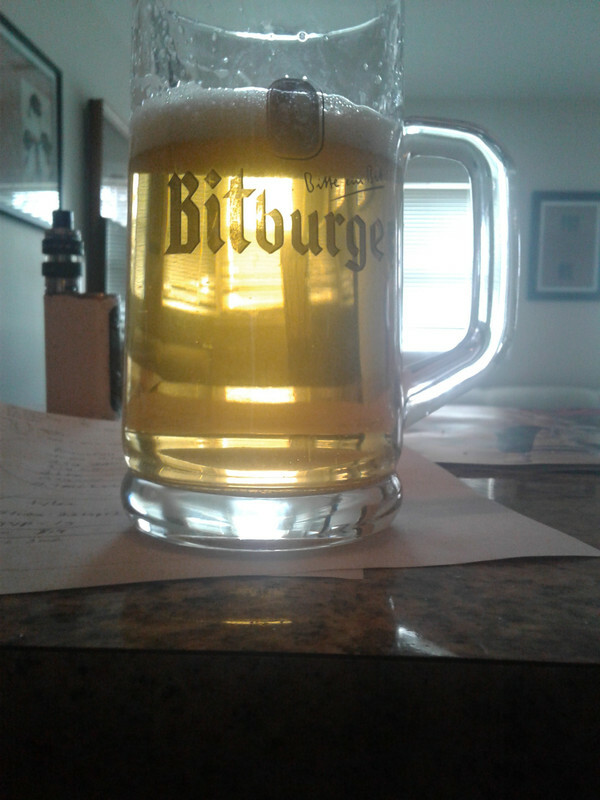 90/10 Pilsner and Munich. Simple beers are where it is at! Nice Drez. I agree... simple can be glorious. Less is more. I'm going to post a duplicate beer too. Brewing today (and drinking)... my West Coast Lager (pseudo Anchor Steam Beer). I'm very happy with this beer... low-O2, spunded, no finings and delicious. I'm sure the keg is getting light and I'll be sorry to see it go. I would have a liter or 3 of that! Who needs adjuncts for haze! 100% two row and Mosaic with Chico yeast. Very tasty.